Fill your home with the rich blends of Archipelago. 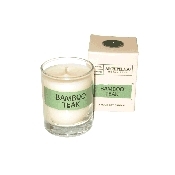 Each candle is hand poured using the finest ingredients and fragrance oils available. The unique wax blend is more than half natural soy wax, which burns longer and cleaner than regular paraffin or beeswax. Each votive candle burns for about 20 hours. Bergamot Tobacco combines classic notes of sweet bergamot and spicy tobacco leaves in a modern blend that is evocative of quiet studies, a favorite book, and a cup of tea. Sign-in or Create an Account to earn 48 points for this item. See Rewards Page.